This entry was posted on January 31, 2018 by usblog. Samsung has confirmed in a post on Twitter that the smartphone will be on display on February 25 at a press conference for the MWC in Barcelona. Typically, Samsung will launch its new top smartphone in March or April. According to current rumors, it should, as with its predecessor, be two different models of the Galaxy S9 . The Galaxy S9 and the Galaxy S9 +. 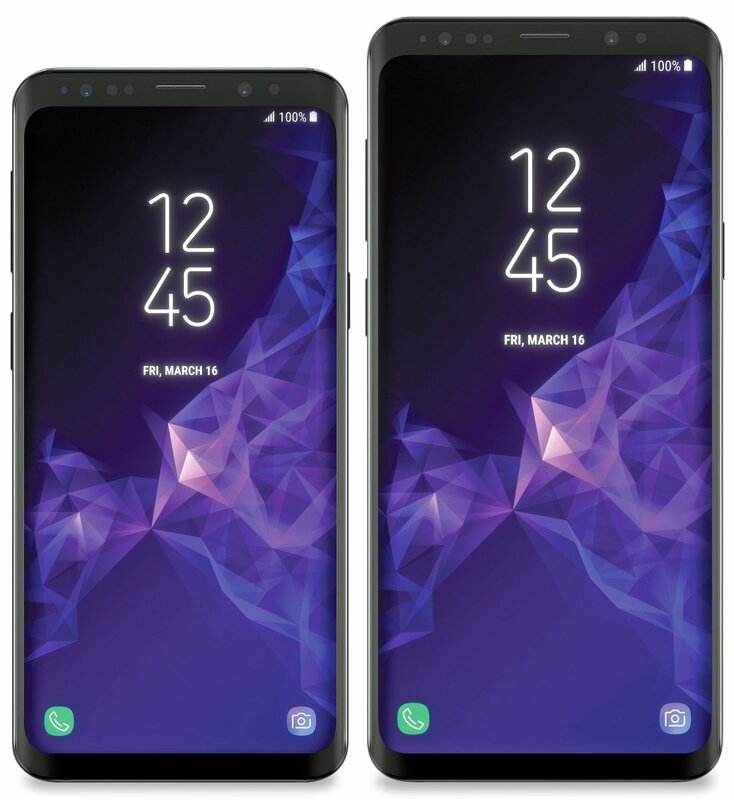 According to the new Galaxy models are not completely frameless. The Bixby button and a 3.5mm headphone jack should also be on board again. There are also stereo speakers, as well as 64 GB of internal memory and 4 GB of RAM. The drive of the smartphone should be the Snapdragon 845. According to the Korean news site Etnews, a dual camera will be installed in the Samsung Galaxy series for the first time, but only in the Plus model. This dual camera is probably composed of two 12-megapixel sensors. The single camera of the Samsung Gaklaxy S9 will also be photographed with 12 megapixels. The front camera should offer great photos with 8 megapixels. Also on the Galaxy S9, the fingerprint sensor will be back on the back, but this time hopefully better placed than its predecessor, after it was advised in the Galaxy S8 to some criticism. ETNews reports that Samsung will be using an SLP board for the first time in the Galaxy S9. This should be particularly efficient and occupy less space in the phone than before. Samsung should probably fill this space with a part of the battery in order to achieve a higher capacity for a longer runtime. The starting price for the Galaxy S9 should be between 700 and 800 euros. In addition to the actual smartphone, the protection is very important. GoCustomized lets you design your own personal phone case! Let us know in the comments what you think about the new Samsung Galaxy S9!